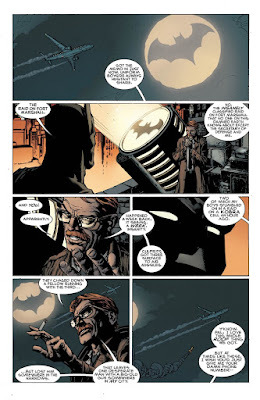 Tom King has proven himself a good asset to write about the Batman world. However, after BATMAN REBIRTH #1, this is the first the writer will be fully responsible for the Dark Knight title. 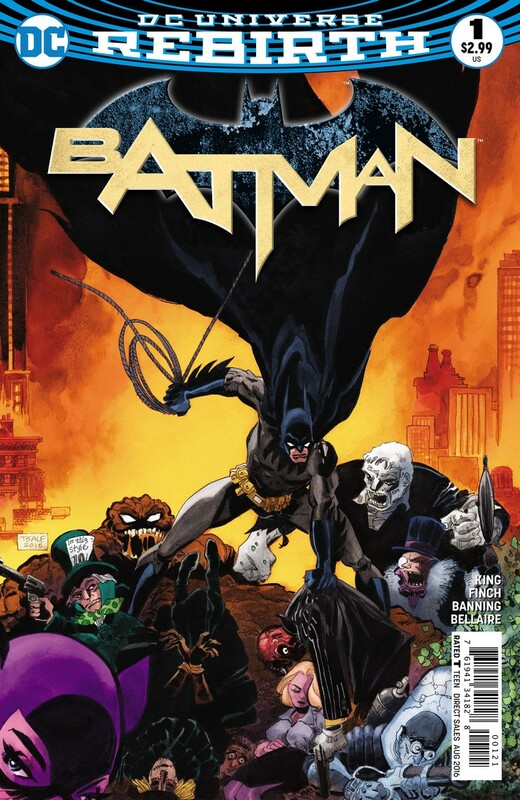 I'm not sure if this Batman #1 was a good starting point, though. 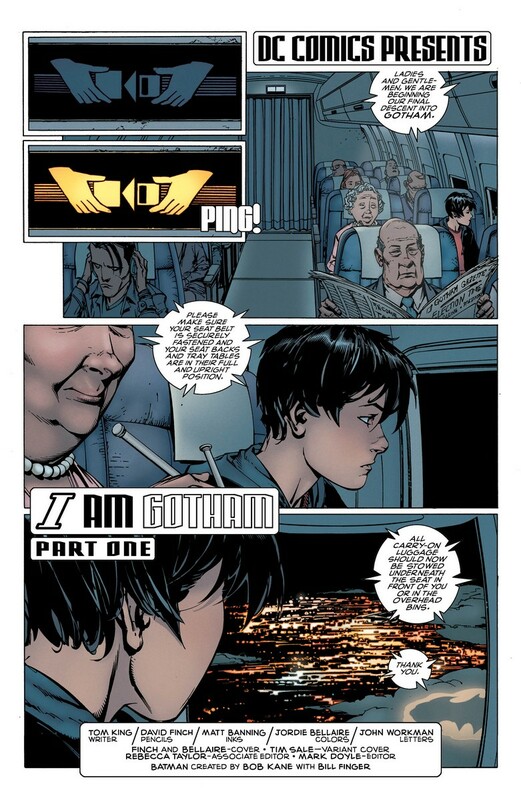 We have two new heroes in the city: Gotham and Gotham Girl. 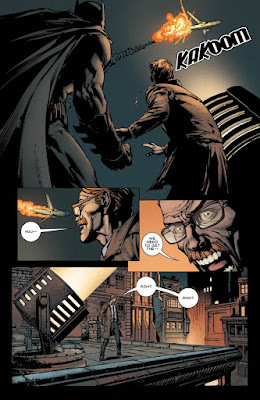 DC's been teasing these two new insertions to the Batman mythos for weeks and now we finally got to meet them. Sort of. 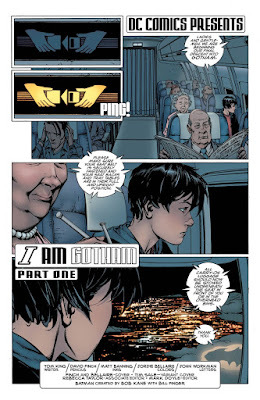 They are just presented to the readers as a cliffhanger to the next issue. I loved the art by David Finch, Matt Banning and Jordie Bellaire. It bring us close to the Gotham City as never before, finally presenting it as more than the place the action takes place. It actually seems like a real city, with a bunch of vigilantes doing their most to protect it. However, while the city comes as real as ever, Batman comes as unreal as ever. 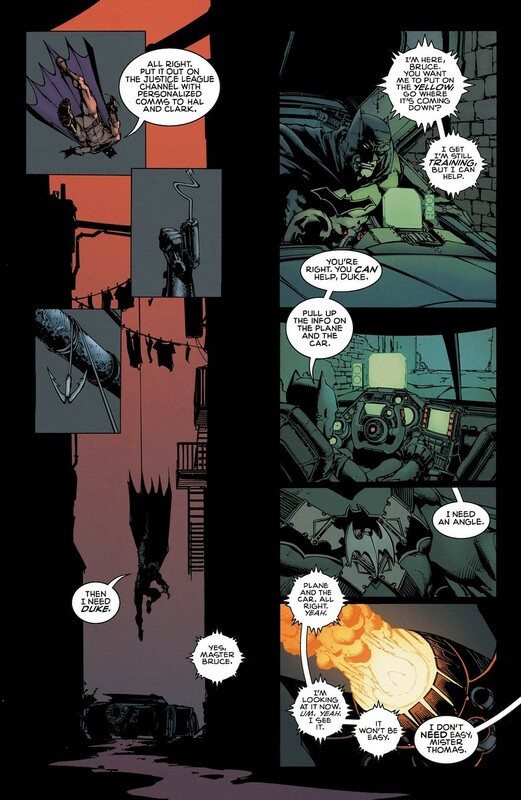 I know we're dealing with comic books, but Batman was always the closest we would get to "real people", taking into consideration he has no super powers. 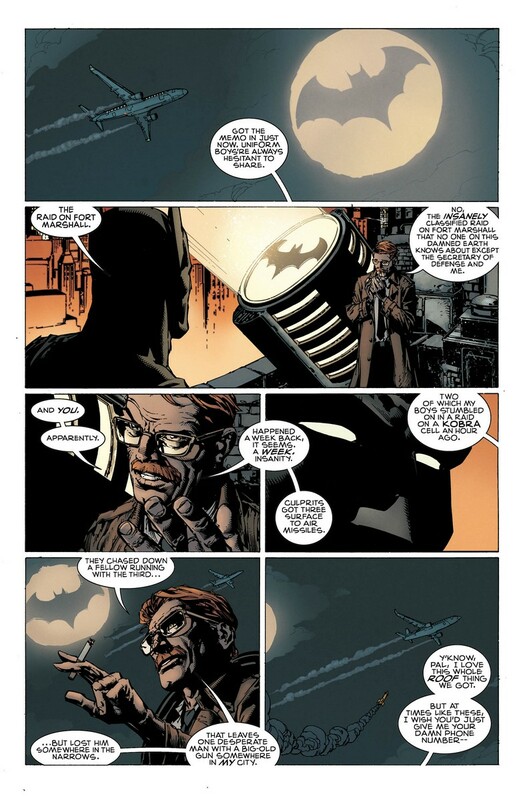 This issue, on the other hand, shows Batman trying to prevent an airplane from crashing after it was hit by a missile. 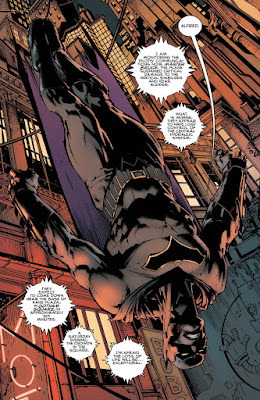 Although the writing is really good, bringing fast pace and adrenaline to every panel, with the hero dealing with his upcoming death (Come on, we know it's not happening! ), it was kind of underwhelming seeing him ejecting himself from the Batmobile, landing into the plane (Just to remember: it was hit by a missile and is falling at high speed) and manage to use gadgets from his utility belt to try to save it. Too much. Just too much. I mean, he's just a man... How hard will King push us? 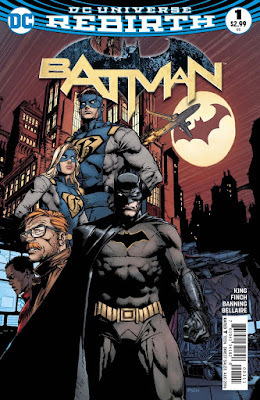 Batman #1 was kind of a disappointment in this aspect, let's se what the future holds.